Today, the article will focus on the practical implementation of this method! I leave the place now to the author of the article, my friend and engineer Nicolas Maquignon. 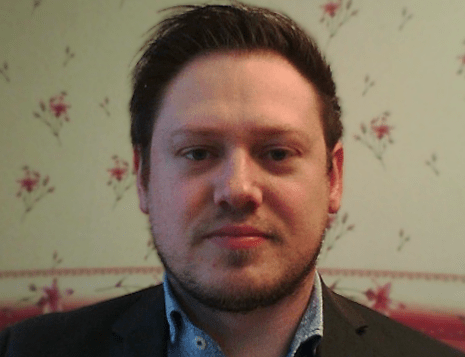 After reading the previous article on LBM, some of you wondered how to actually implement or transfer the theoretical knowledge into an effective simulation either for preliminary test cases or applied problems. Today, I am going to provide explanations about how to implement test cases, or even practical simulations. First, I am going to remind you the LB equation (LBE), and we will have a look a the non-dimensionalisation of the LBE, that is a fundamental concept to be familiar with, in the field of LBM. You are going to need to be familiar with this in order to run your simulations in a coherent manner. In the same section, we will have a look at the crucial concept of similarity, using the Reynolds number, which also is an important notion to understand. As for the NS equations, the Reynolds number can be seen as a value that drives the turbulent nature of the flow, but it also can be used to show that two simulations are similar. In a second part, I will show you how to implement advises and methods and we are going to talk about which language and environnement are best suited for LB simulations, and I'll even give you some coding tips. I use mylself Linux Ubuntu and C++ language. We will end the article with some post-processing tips usig Paraview, which is an excellent tool for visualization of results and interpretation. 1) LBE adimensionalisation - make generic code - understand what similarity means. First, I would like to say that you will only find very rare articles that talk about this topic in a clear sense, as it seems this part is most of time considered obvious by many people that already are in the field of LBM. A lot of articles on the subject just take adimensionned LB equations without even mentioning it. This equation actually is a dimensioned equation, using physical units. In order to make things more generic, in the field of LBM, we establish an LB equation that is adimensioned. Having generic equations allows you to build a single solver for any kind of fluid. The principle is to define constants that would allow you to recover dimensionned values. It saves you also time and ressources, and it provides a deep understanding of the meaning of the simulation. Though the adimensioned equation is now established, we still need to be more specific on the constraints that have to be taken on the reference values, so that it fits with a space phase space (x,e) mesh. 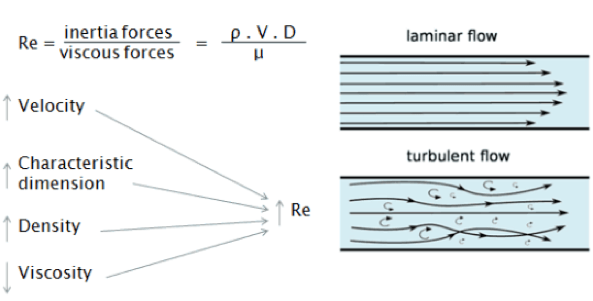 We could establish those links by recovering Navier-Stokes macroscopic equations using some special technique known as the Chapman-Enskog method. A Chapman-Enskog procedure allows to recover NS equations from the LB equation. Interested readers can refer to scientific articles on the subject (contact me) to have details about the maths we use to to it. The two previous relationships are the key for a correct non-dimensionalisation of the LBE. Note that the lattice speed of sound (Cs2 has appeared, indeed because the developments that are performed in the Chapman-Enskog expansion use the equilibrium distribution function, that actually contains the speed of sound. These relationships also means that the Reynolds number drives all the caracteristic properties that will be used for the simulation. This means that for equivalent shaped geometries, boundary conditions and initial conditions, two systems are equivalent as long as they have the same Reynolds number, even though caracteristic length, speed or viscosity are different. Here, we simulate the flow around a cylinder of caracteristic length l0 = 2cm , embeded in a rectangular geometry. Also, a reference speed should be defined, as well as the viscosity should be know. Let’s say we simulate an inlet of air with a viscosity ν and a speed u0. The corresponding Reynolds number is Re = 2000. What we actually stated before is that any simulation embeded in the same geometry will have the same behaviour, as long as the Reynolds number is kept constant. Thus, if replace the air with some viscous oil of viscosity ν = 10-3 and with the same inlet speed, we would « need » a reference length of l0 = 2m in order to keep the same Reynolds number. This means that the dimensions of the oil system would be 100 times larger! And still, it would theoretically have the same output as the simulation with air 100 times smaller! In order to illustrate this section, I found it nice to provide a Paraview illustration of the flow past cylinder simulation with LBM. Here, the Reynolds number is of 2000, and the figure is plotted after some simulation time. We can see the development of two vortex past the cylinder, that would spread if we continue to run the simulation. 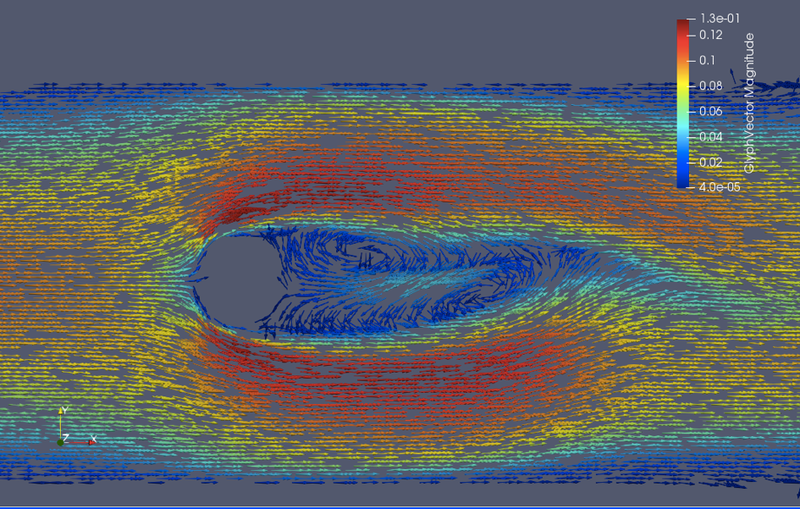 On the following figure, we observe the velocity vector field, represented in paraview with the glyph filter, from a CSV output obtained with the simulation. In this representation I seeded enough glyph under Paraview, so that we can observe the two vortices past the cylinder, and I used the velocity vector magnitude on jet colormap to show speed magnitude. If you are interested, you can try to re-demonstrate the previous properties using a Chapman-Enskog procedure. After establishing all the theoretical notions, and becoming familiar with what we need to know on LBM, we indeed still need to test our equations with some computer simulation. Now... as you probably noticed, it is not sufficient to define only parameters and properties, because even if you really understand what’s going on with the equations, and have a theoretical knowledge of fluid dynamics, it is not of great help if you do not have any programming skills allowing you to translate this knowledge into practical problems solving. Furthermore, theoretical knowledge is of almost no interest for a client with a practical problem. 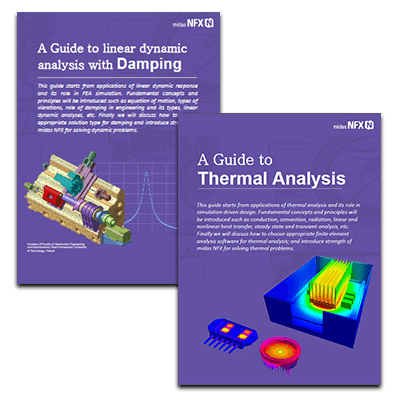 What you are expected to do as CFD or FEA engineer is to put your knowledge into practise and bring innovation and solution that would help your company grow or solve your client’s problem. As you know, for many cases you can use commercial softwares, but sometimes they don’t contain enough physics to solve complicated problems. This means you’re going to need to plugin your physics into the existing software or you can also develop your own computer simulation. Today, in this article let's explore some computer methods to develop your own simulation using LBM. First thing to wonder about is the language you want to use to develop your code. Most of time, people think that scripting language as Matlab are perfect for testing algorithms. It actually is correct, but this only allows to test things on small sized problems, unless you want to spend forever in waiting for your results… Indeed scripting languages are often slow languages unlike compiled languages. But Matlab provides an easy user programming interface and if you’re a newbie to simulation, this might not be a bad idea if you start with such type of language. Though scripting languages are easier, I rather advise to use compiled languages as C or C++, because they are designed to be close to computer architecture and they provide a lot of ways to optimize your code. For those interested in multi-threading, you can for example use the openmp library in a very efficient way if you use C/C++. This property is crucial if you want to run simulations in reasonable delays. Multi-threading is of great interest if you run your program on multi-CPU architectures. For example if you use a 6 cores CPU, multi-threading allows you to define a « thread » of execution for each core. This in some ways means that in a perfect world, your simulation time will decrease by a 6x factor! And imagine the same tool applied on highly parallel architectures as clusters, that can provide you with thousand of CPUs (but of course, not for free!). I should also mention about CUDA, which is the most powerful language you could use for your implementation. This language is designed for GPU computing, this means using Graphics Processor Units for scientific computing. A GPU is a coprocessor - it still needs a CPU - that contains thousands of cores. To summarise, a bit like for multi-threading on CPU, a thread is asigned to every cores of the GPU. And as it contains thousands of cores, the speed up factor can be impressive. But the cores of the GPU are not of the same kind of those from the CPU. Every GPU core needs to do the very same operation at the same time, simultaneously. This constraint is to be respected if you want to work your GPU in an efficient manner. On the contrary CPU cores are more independant and are more programmable. Now that we’ve discussed the possibilities for language of implementation, I propose to have a look in details on the implementation of the advection part of the LBM algorithm. I’ll be using pseudo-C++, and linearized adresses. For those who would like further details, don’t hesitate to contact me. In your C++ simulation, you can program a function that writes VTK or CSV files, that you’ll be able to read using Paraview and its filters. Here, on this view, we have a look at the density field of a liquid gaz system that is undergoing a condensation process. On the very left, you can see that the file data.vtk is opened. You can easily create a vtk file from you’re C++ simulation. Then, as an example, I plotted on right the density field using some surface type representation. Surface is on the options of the top tool bar, as you can see on the picture. 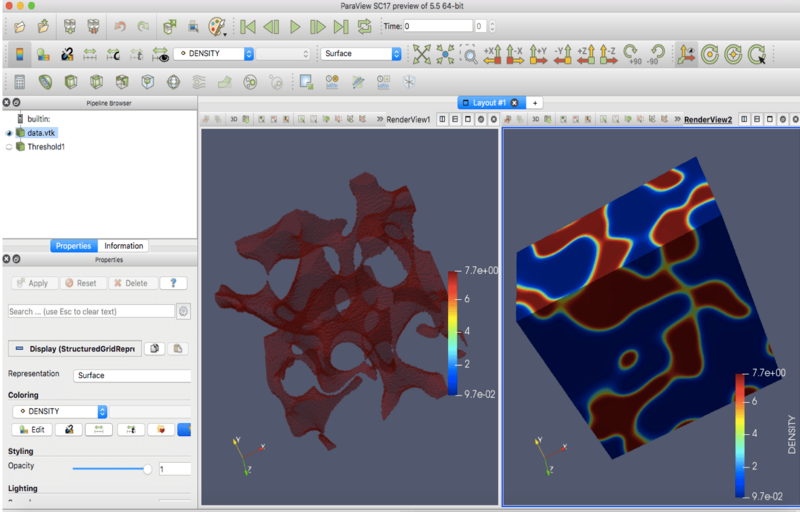 On left, I applied a threshold so that only liquid density is represented. You can see the use of the threshold filter in the pipeline of filters on the very left. And this gives quite a cool view about what’s going on in a condensation process!! Thank you so much for reading, I hope you learned a lot! Safety factor: How do I calculate that? 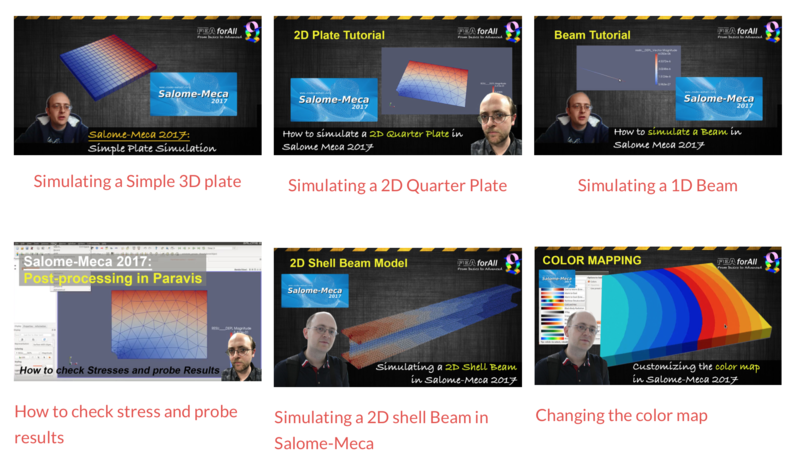 Open-source FEA: Start now with Salome-Meca 2017!